This super simple, versatile, and healthy Honey Roasted Sweet Potatoes side dish can go with so many possibilities! 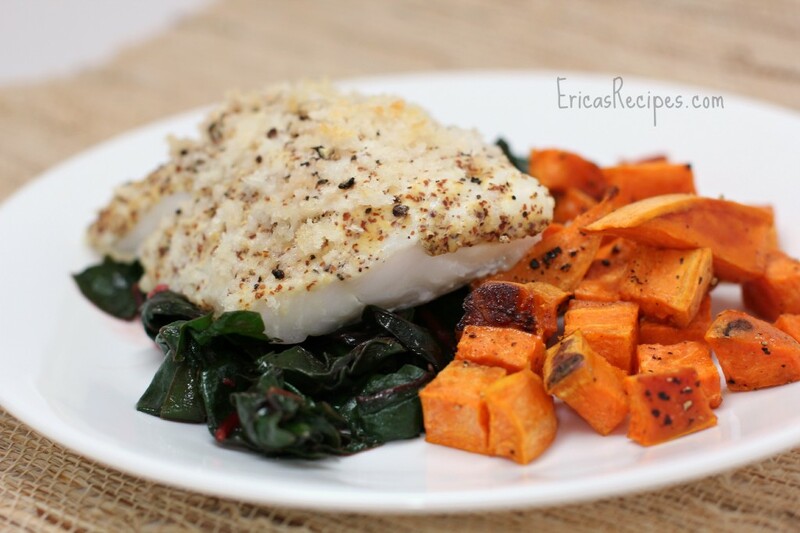 Also shown in the photo above is my Easy Dijon-Baked Cod over Swiss Chard. Peel and dice the potato, and put the cut potatoes on a rimmed bake sheet. Toss with the olive oil and honey. Season well with salt and pepper. Bake at 400F for 15-20 minutes until cooked through and a little crispy around the cut edges. Yields 2 servings.